Includes Super Mario Kart full game download. 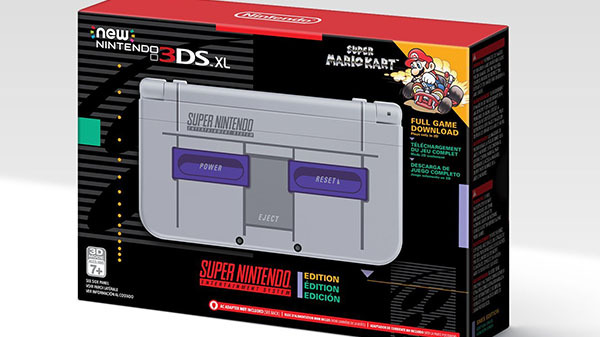 Nintendo will release a Super NES Classic Style New 3DS XL in North America on November 27 for $199.99. It will include a full game download of Super Mario Kart for the Super NES Virtual Console. Pre-orders are now availabe on Amazon.